Woodbridge teachers and staff continuously evaluate how to reach the academic, social, and emotional needs of each student. During the 2014-2015 school year Woodbridge transitioned into a K-4 campus, after having been K-3 for many years. In 2015-2016, it included fifth grade. This allowed students to stay at their neighborhood school and keep families together at one site, rather than send students to another site for fourth and/or fifth grade. 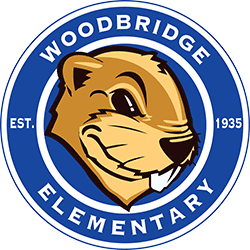 Woodbridge also added a transitional kindergarten program in 2015-2016, in order for students to receive stronger instruction that leads to early success. Students are engaged in technology projects, learning different software programs, typing, and researching subjects. Fridays are spirit days when everyone wears blue to show our school pride. In July 2016, a team of teachers representing 3rd, 4th, and 5th grades, accompanied by the Principal and Intervention Coordinator, attended the AVID (Advancement Via Individual Determination) Summer Institute. In August, AVID strategies were implemented in 7 classrooms altogether (3rd-5th grades). In the summer of 2017, an additional 3 teachers were trained, gradually reaching our goal to become an AVID school-wide campus. Our hard work paid off and toward the end of our 2017-18 school year, we were named the first AVID certified elementary school in our District! AVID teaches skills and behavior for academic success; provides intensive support with tutorials with strong student/teacher relationships; creates a positive peer group for students; and, develops a sense of hope for personal achievement gained through hard work and determination. Recently, we have added.. Be proud! Woodbridge is successful in cultivating strong partnerships with community members. Woodbridge also offers several opportunities to extend student learning. Woodbridge is fortunate to be a grant recipient for the After School Safety and Education (ASES) grant. The program operates each day that school is in session from the close of school to 6:12 pm. A memorandum of understanding was established with the City of Roseville Parks and Recreation department to staff and administer the program. Woodbridge received its granted renewal for the ASES program in 2015. This will allow us to continue to enrich and serve our students. Our ASES staff supports our educational program also by visiting our classrooms during the school day in the Fall and in the Spring. Altogether, our neighborhood school offers a strong educational program that meets student needs at all levels. Through our wonderful community partnerships, our Spirit Days and more, we motivate one another to learn, work and achieve together!